This website is operated by Suit Supply (U.S.A.), Inc. (d/b/a Suitsupply) (hereinafter, “Suitsupply”). The mailing address for Suitsupply is 453 Broome Street, New York, NY 10013. Suit Supply (U.S.A.), Inc. (d/b/a Suitsupply) (hereinafter, “Suitsupply” owns and operates this Website. This document governs your relationship with http:// us.suitsupply.com/ (“Website”). Access to and use of this Website and the products and services available through this Website (collectively, the "Services") are subject to the following terms, conditions and notices (the "Terms of Service" or “Terms”). By using the Services, you are agreeing to all of the Terms of Service, as may be updated by us from time to time. You should check this page regularly to take notice of any changes we may have made to the Terms of Service. By placing an order, you are offering to purchase a product on and subject to these Terms. All orders are subject to availability and confirmation of the order price. Dispatch times may vary according to availability and subject to any delays resulting from postal delays or force majeure for which Suitsupply will not be responsible. To purchase any product or service through the Website (“Purchase(s)”), you may be asked to supply certain information, such as your credit card number, the expiration date of your credit card, your billing address, and your shipping information. You represent and warrant that you have the legal right to use any credit card(s) or other payment method(s) utilized in connection with any Purchase. By submitting such information, you grant Suitsupply the right to provide such information to third parties for purposes of facilitating the completion of Purchases initiated by you or on your behalf. Verification of information may be required prior to the acknowledgment or completion of any Purchase. 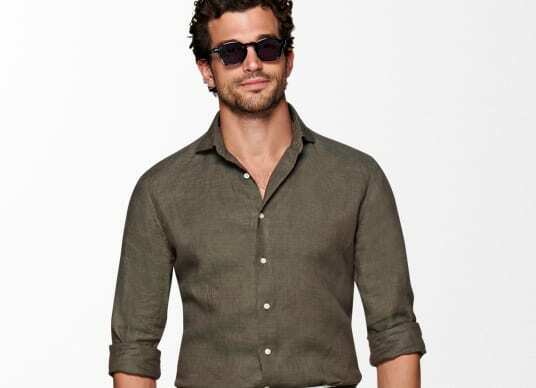 You agree that by placing an order on the Website, you are entering into a binding contract with Suitsupply and agree to pay all charges that may be incurred by you or on your behalf through the website, at the price(s) in effect when such charges are incurred, including all shipping and handling charges and any applicable taxes. Shipment dates are estimates and not guaranteed. 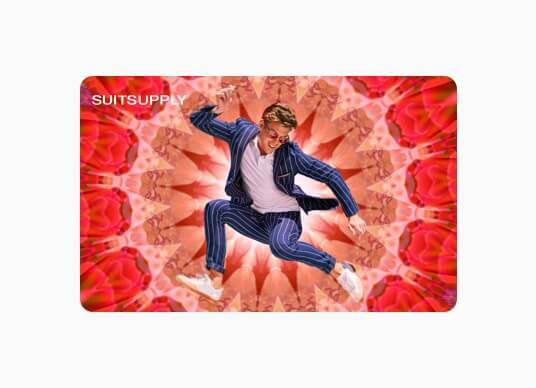 Upon receiving your order, Suitsupply carries out a standard authorization check on your payment card to ensure there are sufficient funds to fulfill the transaction. Your card will be debited upon authorization being received. The monies received upon the debiting of your card shall be treated as a deposit against the value of the goods you wish to purchase. Once the goods have been dispatched and you have been sent a confirmation email the monies paid as a deposit shall be used as consideration for the value of goods you have purchased as listed in the confirmation email. 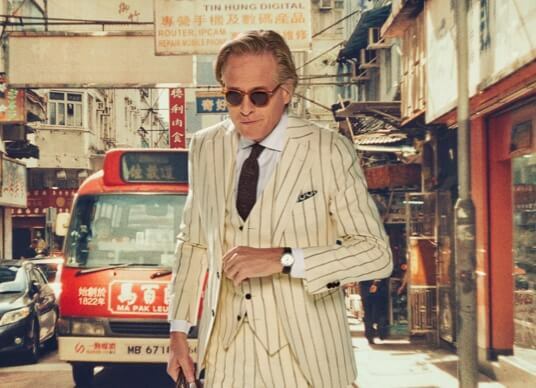 Consumer is obliged to report immediately to Suitsupply any inaccuracies in payment data provided or stated. While Suitsupply tries to ensure that all details, descriptions, and prices which appear on this Website are accurate, errors may occur. Taxes may vary depending on applicable laws. If we discover an error in the price of any goods which you have ordered we will inform you of this as soon as possible and give you the option of reconfirming your order at the correct price or cancelling it. If we are unable to contact you we will treat the order as cancelled. If you cancel and you have already paid for the goods, you will receive a full refund. Except for items purchased “on account” or through our Box Office, you have thirty (30) days to return any unaltered and unworn Products. Any returned products must be postmarked no later than fourteen (14) days after you receive the package (the “Return Date”). You will be charged for any Products that you do not postmark back to us by the Return Date. Any exceptions permitting a return postmarked longer than the Return Date must be requested in a timely manner and may be granted at the sole discretion of Suitsupply. Products must be returned unworn and in the original condition with all relevant attachments and accessories. There is no guarantee that you will be able to exchange or replace any item. You must not misuse this Website. You will not: commit or encourage a criminal offense; transmit or distribute a virus, trojan, worm, logic bomb or any other material which is malicious, technologically harmful, in breach of confidence or in any way offensive or obscene; hack into any aspect of the Service; corrupt data; cause annoyance to other users; infringe upon the rights of any other person's proprietary rights; send any unsolicited advertising or promotional material, commonly referred to as "spam"; or attempt to affect the performance or functionality of any computer facilities of or accessed through this Website. Breaching this provision would constitute a criminal offense and Suitsupply will report any such breach to the relevant law enforcement authorities and disclose your identity to them. Suitsupply will not be liable for any loss or damage caused by a distributed denial-of-service attack, viruses or other technologically harmful material that may infect your computer equipment, computer programs, data or other proprietary material due to your use of this Website or to your downloading of any material posted on it, or on any website linked to it. The intellectual property rights in all software and content (including photographic images) made available to you on or through this Website remains the property of Suitsupply or its licensors and are protected by copyright laws and treaties around the world. All such rights are reserved by Suitsupply and its licensors. You may store, print and display the content supplied solely for your own personal use. You are not permitted to publish, manipulate, distribute or otherwise reproduce, in any format, any of the content or copies of the content supplied to you or which appears on this Website nor may you use any such content in connection with any business or commercial enterprise. The material displayed on this Website is provided without any guarantees, conditions or warranties as to its accuracy. Unless expressly stated to the contrary to the fullest extent permitted by law Suitsupply and its suppliers, content providers, and advertisers hereby expressly exclude all conditions, warranties and other terms which might otherwise be implied by statute, common law, or the law of equity and shall not be liable for any damages whatsoever, including but without limitation to any direct, indirect, special, consequential, punitive, or incidental damages, or damages for loss of use, profits, data, or other intangibles, damage to goodwill or reputation, or the cost of procurement of substitute goods and services, arising out of or related to the use, inability to use, performance or failures of this Website or the Linked Sites and any materials posted thereon, irrespective of whether such damages were foreseeable or arise in contract, tort, equity, restitution, by statute, at common law, or otherwise. 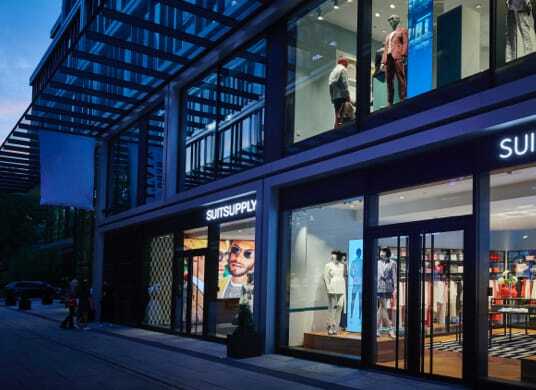 This does not affect Suitsupply's liability for death or personal injury arising from its negligence, fraudulent misrepresentation, misrepresentation as to a fundamental matter or any other liability which cannot be excluded or limited under applicable law. You agree to indemnify, defend and hold harmless Suitsupply, its directors, officers, employees, consultants, agents, and affiliates, from any and all third party claims, liability, damages, and/or costs (including, but not limited to, legal fees) arising from your use this Website or your breach of the Terms of Service. Suitsupply shall have the right in its absolute discretion at any time and without notice to amend, remove or vary the Services and/or any page of this Website. 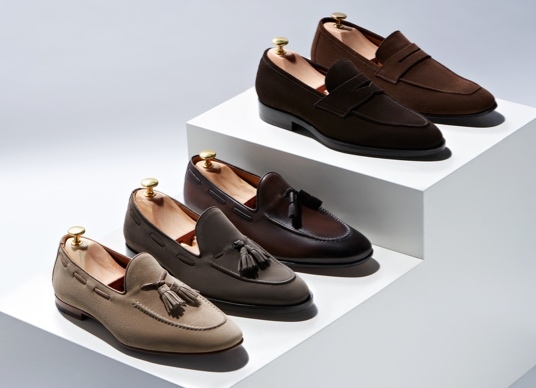 If any part of the Terms of Service is unenforceable (including any provision in which Suitsupply excludes its liability to you), the enforceability of any other part of the Terms of Service will not be affected all other clauses remaining in full force and effect. So far as possible where any clause/sub-clause or part of a clause/sub-clause can be severed to render the remaining part valid, the clause shall be interpreted accordingly. Alternatively, you agree that the clause shall be rectified and interpreted in such a way that closely resembles the original meaning of the clause /sub-clause as is permitted by law. We operate a complaints handling procedure which we will use to try to resolve disputes when they first arise, please let us know if you have any complaints or comments. Any dispute, claim or controversy arising out of or relating to these Terms of Service or the breach, termination, enforcement, interpretation or validity thereof, including the determination of the scope or applicability of the Terms of Service agreement to arbitrate, shall be determined by arbitration in New York, NY before one arbitrator of Suitsupply’s choosing. Judgment on the award may be entered in any court having jurisdiction. This clause shall not preclude parties from seeking provisional remedies in aid of arbitration from a court of appropriate jurisdiction. If you breach these conditions and Suitsupply takes no action, Suitsupply will still be entitled to use its rights and remedies in any other situation where you breach these conditions. The laws of the State of New York shall govern these Terms without regard to conflict of laws provisions. Any dispute relating in any way to your visit to, or use of, the Website, or to the products you purchase through the Website shall be submitted to confidential arbitration in New York, New York; provided, however, that to the extent that you have in any manner violated or threatened to violate our intellectual property rights, we may seek injunctive or other appropriate relief in any state or federal court in the State of New York. You hereby consent to, and waive all defenses of lack of personal jurisdiction and forum non conveniens with respect to, venue and jurisdiction in the state and federal courts of New York. Arbitration under these Terms will be conducted pursuant to the Commercial Arbitration Rules then prevailing at the American Arbitration Association. The arbitrator’s award will be final and binding and may be entered into as a judgment in any court of competent jurisdiction. To the fullest extent permitted by applicable law, no arbitration under these Terms will be joined to an arbitration involving any other party subject to this Terms, whether through class action proceedings or otherwise. You agree that regardless of any statute or law to the contrary, any claim or cause of action arising out of, related to or connected with the use of this website or these Terms must be filed within one (1) year after such claim of action arose or be forever banned. This policy last was updated on July 5, 2016.